There are many instances when RAW doesn't work. One of the most common for me is when a new camera comes out, and it isn't supported by Adobe, Apple, DxO or practically anyone else. If I'm in an iPad workflow, I also prefer Jpegs. And sometimes I just need to manage storage space. 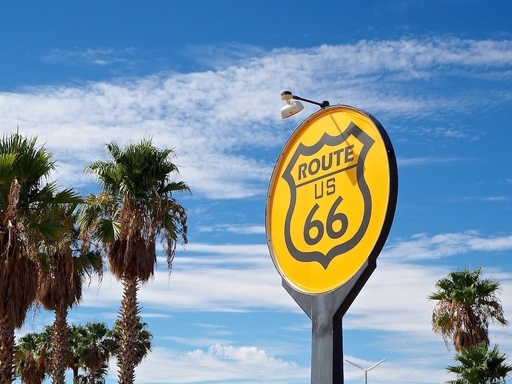 Route 66, Southern California. Super Fine Jpeg captured with an Olympus OM-D E-M10 Mark II and 14-42mm EZ zoom lens. I edited this shot the same way I would RAW - opened up shadows a bit in the Palm trees, recovered a few highlights. Photo by Derrick Story. I don't lose much sleep over shooting in Jpeg mode these days. In part, because a while back I discovered Super Fine mode on my Olympus digital cameras. In this format, I capture 16 MP images that are up to 9 megabytes. RAW files from the same camera tend to be in the 13 MB range. The Super Fine Jpegs are quite editable, with good highlight and shadow recovery. And the preprocessing of the photos that Olympus does in camera is quite beautiful. 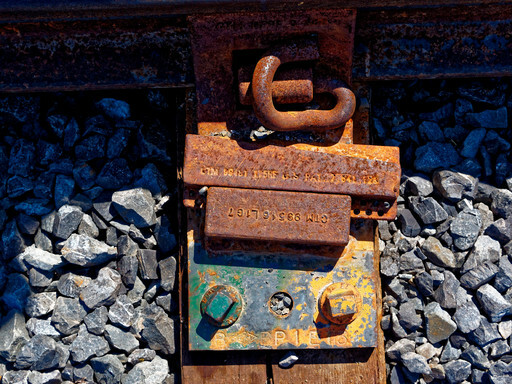 Many of my images are ready to go right off the card. If you shoot Olympus, you can enable Super Fine by going to gear menu item G, then click on the top item "Set." This allows you to change your Jpeg parameters. I use Super Fine for large, medium, and small Jpegs. I use the Medium/Super Fine combo when I'm streaming photos to my iPad for quick-turnaround publishing. Otherwise, I like Large/Super Fine. If you're shooting another brand, check and see what the highest quality Jpeg mode is, then test it. RAW is important when you need it. But it's not a must for every shot. Especially not that I've discovered this setting. 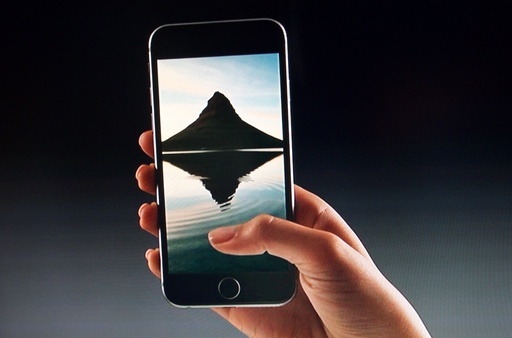 As we sift through all of the announcements from Apple's Sept. 9, 2015 event in San Francisco, a minor feature is actually one of the most interesting to me: Live Photos. 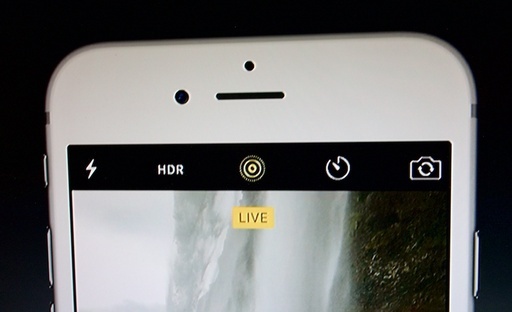 If you have it enabled, via the "Live" icon in the center of the top toolbar on the iPhone 6S camera app, every time you take a picture, the app will capture a second and a half of content on either side of the image. Then, when you view the snapshot, you can press and hold on it (thanks to the new 3D Touch feature), and the picture comes to life for a couple seconds. It's a small thing, until you think about the type of pictures many of us are capturing with our smart phones. They're family moments, outings with friends, interactions with pets... in other words, the things that matter dearly to us. Imagine missing your wife while on a business trip and being able to see her come to life just for a few seconds. I can see the value in that. It gets to the point where I sometimes wonder what else I need from my mobile devices. I don't need Live Photos. But I do want it. It's one of those little things that can help me stay connected to those I love. And in this busy, multitasking, world of ours, I can use as much of that connection as I can get. It's nimble photographer meets wedding photographer. If I've learned nothing else about shooting weddings over the years, it's the importance of keeping track of your stuff. This was more difficult in the DSLR days because it wasn't practical to have all of your equipment on you. So I ended up locking a roller bag to a table near the DJ and worrying all night. But those days are over. Olympus 17mm f/1.8 prime (for low light work). Sometimes I use the Panasonic 20mm f/1.7 II instead of the Olympus 17mm. It's really a mood choice. Plus battery grip so I can load two batteries at once, two flashes, flash bracket, and Rogue FlashBenders to modify the light. One of the reasons why I like the Pro Messenger is that it can accommodate my flash bracket in the front pocket. So when I'm not using it, I have it neatly stashed away. 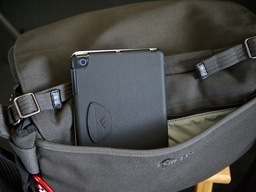 I keep the iPad in the zippered back pocket. I use it to review images during the event, share them with others, and post online if the client wishes me to do so. During the shoot, I leave the bag open so I can access all of my gear quickly. It's like a portable workbench that rests on my hip. I use solid, non-bending dividers inside the Pro Messenger to keep the bag from collapsing (as messengers will do). This makes it much easier to remove and replace the cameras. The 12-35mm zoom stays mounted on the E-M5 Mark II and the 75mm f/1.8 is on the E-M10. I don't like changing lenses unless I have to, so I just grab the body I need at the moment. If I do employ the flash bracket, it goes on the E-M5. I'll depend on existing light for the 75mm f/1.8 on the E-M10. I do keep the Neewer L-Plate Bracket Grip on the E-M10 to help protect the body and to give me a better hold. Plus I can change batteries without removing the grip. I feel much better these days having all my gear with me at all times. And thanks to the nimbleosity of the mirrorless kits, I can do so without wearing myself down over the course of the event. If you want to learn more about my wedding photography, visit www.ReinventTheWedding.com. I have a gallery there plus more details about my approach to wedding photography. The toughest part when mixing photography and cycling is fumbling with the gear. 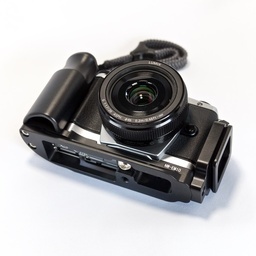 Thanks to the new Olympus Air with 14-42mm EZ lens, that problem is solved. Let me show you how it works. 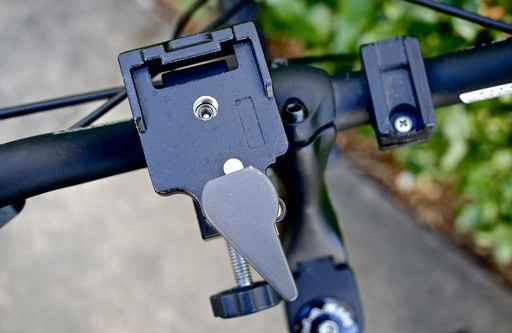 What I've done is combined a quick-release mount with a photographer's c-clamp and attached them to the handle bars of my bike. Everything is quite secure. 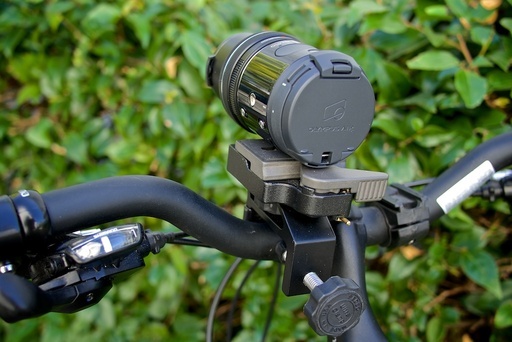 I then attach the QR plate to the Olympus Air so I can easily remove the camera from the handle bars as necessary. 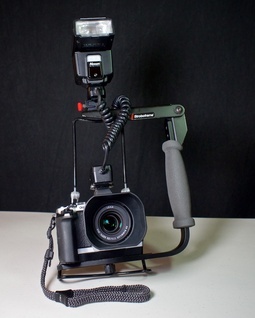 I need this for both photography composition, and for bike security when I dash into a convenience store. 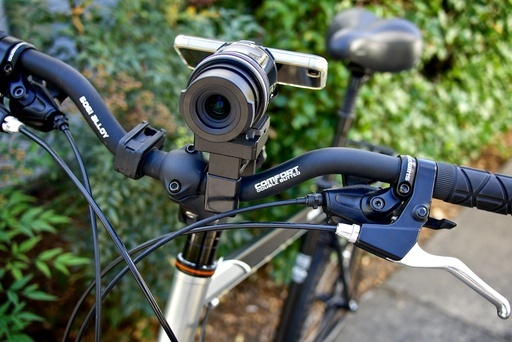 Manfrotto quick release combined with a c-clamp allow me to mount the camera to the handle bars. The idea isn't to shoot while riding, although I could if something interesting was going on. This setup is more about access. When I see an interesting picture, I can stop and capture it quickly. I can trip the shutter button on the top of the Air immediately, or use my iPhone as a viewfinder and control center. I don't leave the iPhone mounted to the Olympus Air while riding, even though it's pretty secure there. But when I've stopped and am composing shots, I do use the tandem together. If I need to take a long exposure, I can use the bike as a makeshift tripod and control the camera with the iPhone detached from its back. And if I want to get off the bicycle all together and wander off, then the Air quickly dismounts from the handle bars to do so. And unlike many compact cameras, I have a high quality Four Thirds, 16 MP sensor with a variety of different lenses to choose from. So image quality is top notch. 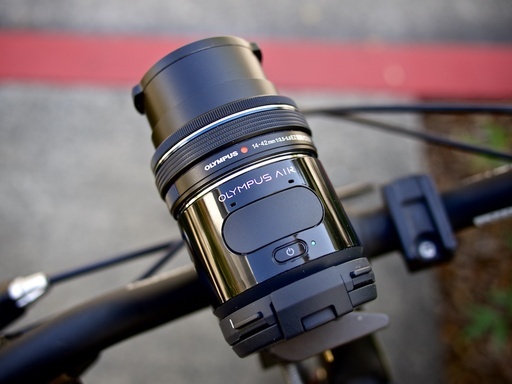 I keep the Olympus Air in my bike bag, and have been mounting it on the handlebars before I head out for any ride, even if it's just to run errands. You never know when a great shot will present itself. And now I'm ready for it. The Olympus Air has a high Nimbleosity Rating. What does that mean? You can learn about Nimbleosity and more by visiting TheNimblePhotographer.com. Regardless of the subject you're shooting when working in the field, keep your eyes open for other interesting opportunities. Photo by Derrick Story. Click to enlarge and enjoy the details. For example, I discovered this image during a model shoot. I was waiting for a wardrobe adjustment, so I started examining my surroundings for a creative photo during the interlude. I looked all around me, and then finally, down at my feet. If you like a nice, big screen for composing your images, but don't like holding an iPad up to eye level to take the shot, here's a super high quality alternative. 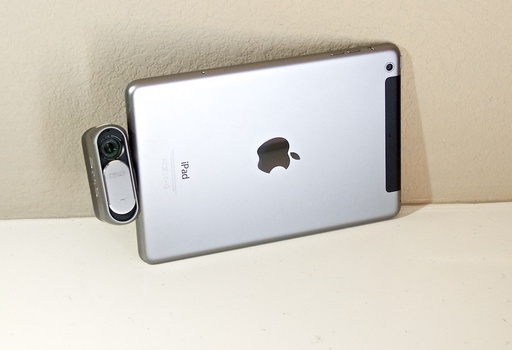 I've attached a DxO ONE 20 MP RAW shooting camera to the iPad mini. Because you can rotate the camera in both directions, I typically hold the tandem at waist or chest level to compose the shots. It feels very natural, I have the benefits of the big screen to work with, yet I don't look like a tourist on vacation. 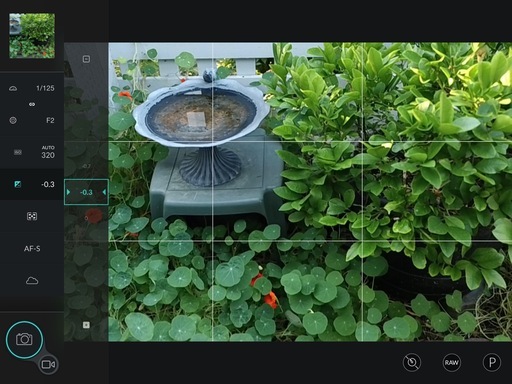 The DxO ONE app, now available in the iTunes App Store, provides all of the camera controls I need. I have it set up to send the Jpegs directly to the iPad's Camera Roll for immediate use. At the same time, the high quality RAW files are stored on the memory card in the ONE for processing at a later date. BTW: the image quality of the RAWs when edited in DxO Optics Pro 10 (included with the ONE) are gorgeous. I've always wanted to take advantage of that beautiful Retina Display on my mini for capturing photos. Now I can, and I can do so in style. 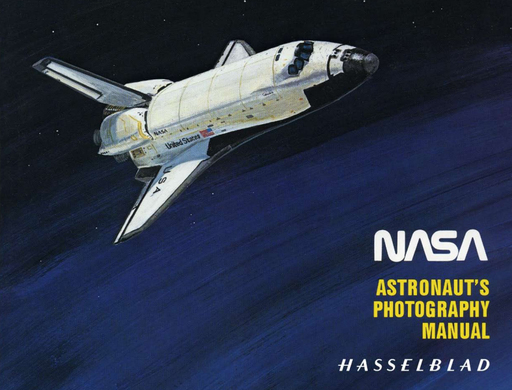 NASA astronauts shooting with Hasselblad cameras created many iconic space photographs. And now we can read the same training manual NASA used to help them capture the best images possible. I just read a terrific post on www.ephotozine.com titled Take A Look At A NASA Astronaut Photography Manual where they share some of the tips from the manual and even provide a link to download it. I'm having a blast reading it. And I'll probably even pull out my 500C this weekend just for fun. My view of Dropbox has expanded over the time that I've been using it. Initially, I just wanted offsite storage to protect my content. And it's great for that. But I've noticed that I have many shared folders, often containing that very content I've backed up, with just about every client and collaborator whom I work with. And I would say at this point in time, that I would miss the sharing aspect of the service just about as much as the storage. That's not to say that protection of my images isn't still the top priority. And to highlight that point, that's what I talk about in this movie: basic backup that can integrate with Lightroom, Photos for OS X, your mobile devices, and just about anything else. But once that need has been met, sharing becomes just as important. That's a real need today: finding an easy way to collaborate in the business environment. 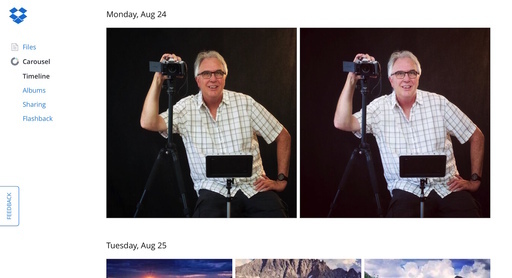 And as I work through the lynda.com title on "Dropbox for Photographers," I show how to integrate these two features - both of which are valuable for the modern digital photographer. If you want to dig into Dropbox, take a look at my lynda.com training, Dropbox for Photographers. For those who want to learn more about Photos for OS X, I also have the title, Up and Running with Photos for OS X.